Were getting to the end of our leafy greens. I've been harvesting like crazy. 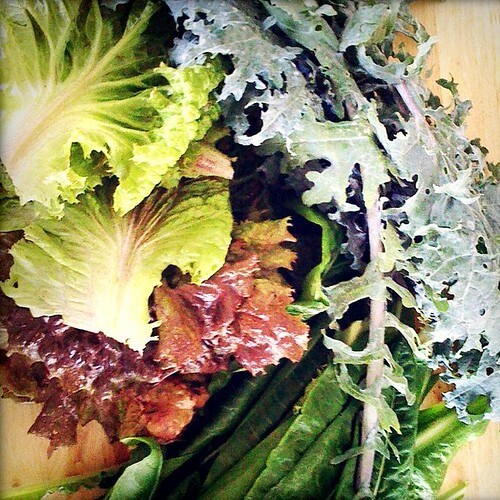 Shown here: Russian red leaf lettuce, Swiss Chard & Kale. There will be a lot of salads and green smoothies in our near future!